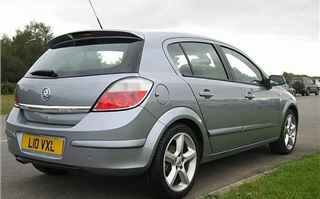 It’s obvious that the new 2004 Vauxhall Astra is going to give the New Focus a harder time than the old Astra ever gave the old Focus. The old Astra was a worthy car with decent handling, but it looked like a hamster compared to the sporty Focus. Now, things could not have changed more dramatically. 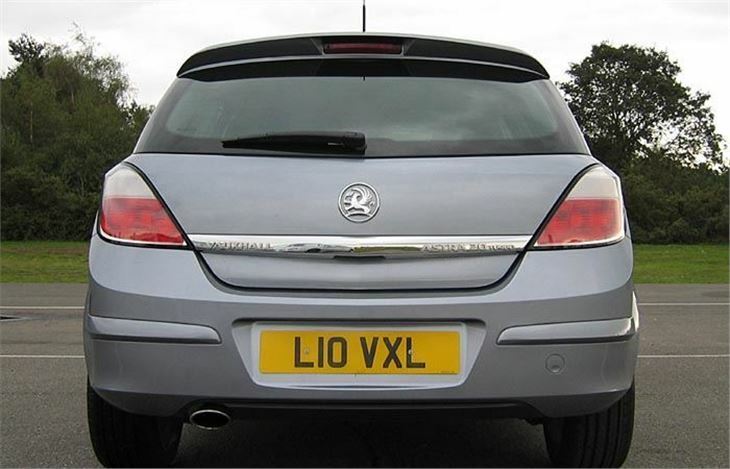 Because now it’s the Astra that’s exciting, flashy and different and the Focus that’s gone over to the conservatives. 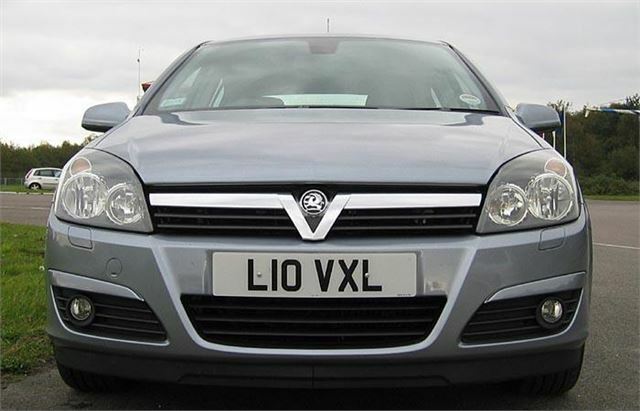 I guess Vauxhall must have wanted to impress me. 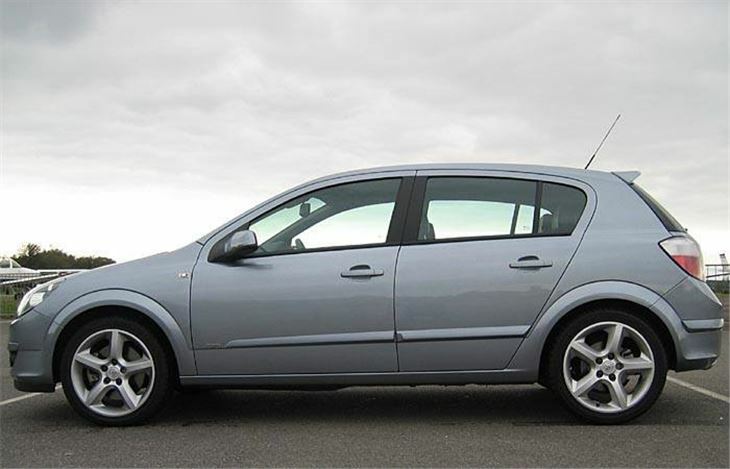 Because the Astra they sent wasn’t a 1.4 or a diesel. It was the almost full house, six-speed 170PS Turbo SRi. And it’s a good drive. A multi-adjustable seat and steering wheel give a good position for just about anyone (yes, there is an optional tilting squab). It’s sweet and docile around town with the sort of torque at 2,000rpm you expect from a diesel. Yet point it at a clear stretch of road, pick your gear correctly and it takes off like a scalded cat. The handling is quite good too, but I’d just been spoiled by the near perfect balance and steering of the BMW 120d, so I did notice the inevitable tugging at the wheel as the traction control system tried to put the power down. I suspect that’s why, they sent me the 170PS turbo rather then the fire-breathing 200PS. Once you have found out where the power and torque are those 170PS seem remarkably healthy. 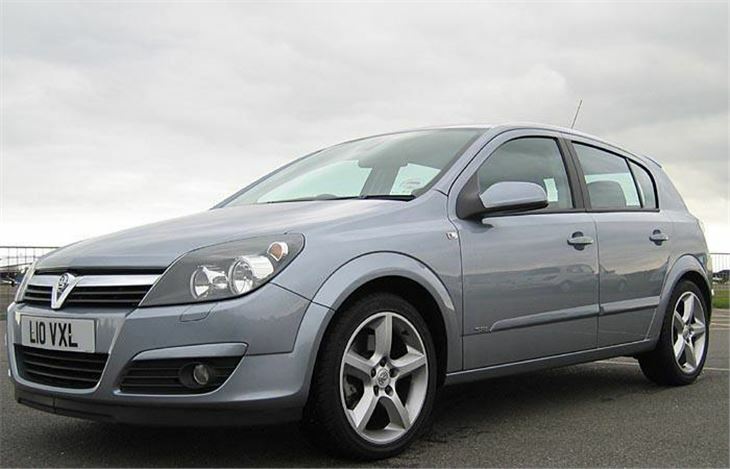 Memory can play tricks but it seemed to pick up to 100 more quickly than my old 180PS Leon 20VT Sport. On a long mostly motorway trip the car really came into its own. Having adjusted the seat once, I found it very comfortable. The gearing in 6th gives almost 30mph per 1,000 rpm and with a fat slug of torque from 1,950 rpm it drives in the quiet, relaxed but potent manner of a top turbodiesel. That long 6th also gives potential for good economy if you stay within the silly limit. I quite often saw more than 40 on the screen. However, on country roads, the fact that you’ve got an extra 2,000 rpm to play with, makes 3rd and 4th gears very useful indeed. Pressing the Sport button has the effect of sharpening the car’s responses as it’s supposed to. It immediately feels sharper and more eager, but, of course, the ride suffers, so that’s something best for back-roads. Though Astras always feel stiffer than Focuses, the ride even on 215/45 R17s wasn’t bad even over speed humps, helped, of course, by the excellent drivers seat. Vauxhalls now come with Digital Audio Broadcast radios, so the sound quality is good, but the controls are a bit fiddly on the dash, which rises from the floor like an outward sloping cliff. You get used to it, and the way the various functions work, but until you’re familiar enough to feel your way it is eyes off the road. You get used to the one touch indicators and one touch wipers quite quickly because most new cars seem to come with them these days. The low, sporty look has meant that to provide decent boot-space the designers had to come up with a hump-backed luggage cover. 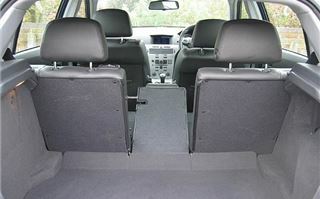 But the optional 40/20/40 split seatback is a good idea allowing long things to be poked right through to between the driver and front passenger. 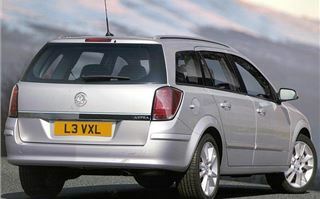 A month later I tried the vastback version: the Astra estate petrol turbo with its colossal 1,550 litres of luggage space and 470 litres with the seats up. 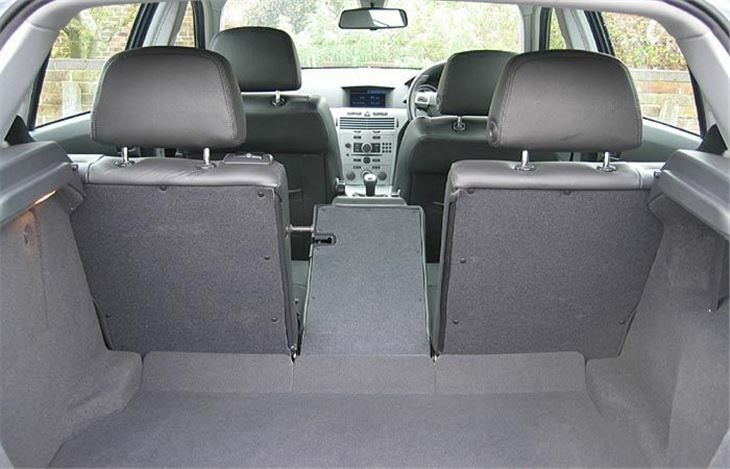 This came in ‘Design’ trim and lacked the ‘Comfort’ driver’s seat, which is a £100 option. Yet, geared at 30mph per 1,000rpm in 6th, it seemed to go even better. It had a wonderfully smooth, powerful turbo engine that felt right on the ball at motorway speeds: like a very good turbodiesel, but much sweeter to drive and reasonably economical. 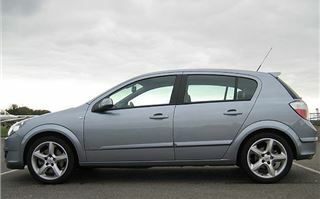 Again, it reminded me of my old SEAT Leon 20VT, but felt even more responsive. 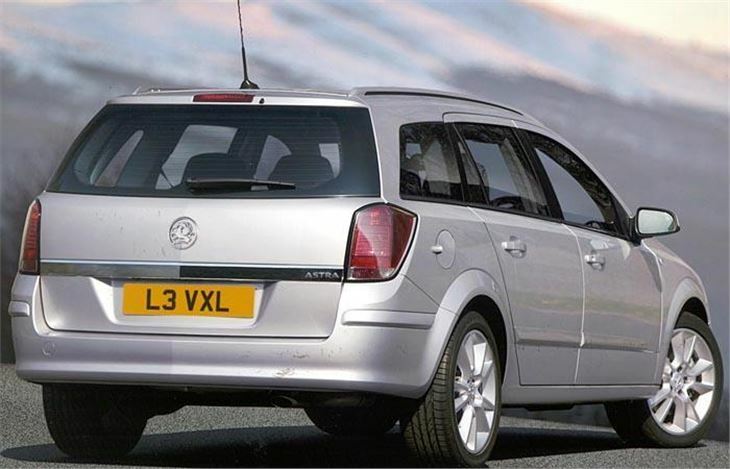 Maybe it was the incongruity of a plain-looking estate car with a 170PS turbo engine that felt more like 190PS. Not cheap at £18,695. A bit juicy at 31mpg combined, though I got more like 33. And up on the BIK at 218g/km CO2. But it solves the problem for anyone who needs both loadspace and a decently handling, compact, quick car. So did I like the new Astra turbos? Yes. Could I live with them? Yes. 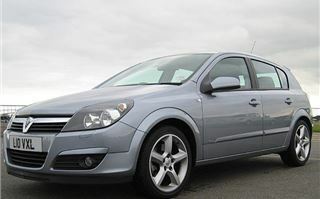 Am I now a Vauxhall convert? See also my October test of the Vectra DTI SRI 150.